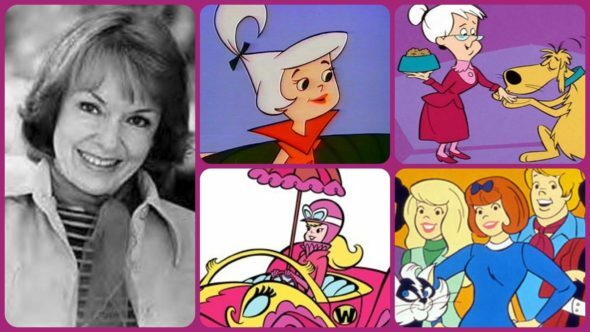 Janet Waldo, a prolific voice actress most known for her work as Judy Jetson on The Jetsons, has passed away at the age of 96, reports TV Guide. Waldo voiced a number of roles over the course of her decades-long career, including Josie on the Hanna-Barbera cartoon Josie and the Pussycats. It was in 1962 that Waldo landed her most famous role as Judy Jetson on the Hanna-Barbera animated sitcom The Jetsons. The series lasted 75 episodes before ending in 1963. However, due to heavy syndication, the role became iconic. Waldo went on to voice a variety of characters on many animated series, including Wacky Races, Jonny Quest, Fantastic Four, Josie and the Pussycats, and The Scooby-Doo Show. Her last TV role was as Mrs. Tobbis in a 1998 episode of King of the Hill. What do you think? Did you watch The Jetsons? What’s your favorite role of Waldo’s? Josie and the Pussycats: Don’t Miss the Cast Reunion! The Jetsons: What Happened to the Live-Action Movie? The Jetsons Meet the Flintstones: Watch the Historic First Encounter!